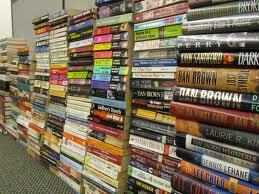 On May 8, books and magazines will be collected from club members prior to two Friday morning meetings in May. After the second drop off day, the items will be distributed to the three organizations. One of the primary focuses of our club is literacy and this book/magazine drive allows others to enjoy and benefit from the used materials. Another focus of our club is youth and the children’s books are given to Capitol West to encourage them in their reading programs. On the drop off dates, Jan Constable and Mike Schmeling will collect and sort the materials into Hardcover Books and Children’s Books, Magazines, and Soft Cover Books and drop off the items after the collection dates. Thanks to everyone for taking part in this worthwhile program.